The arbitration process is similar to a streamlined bench trial. In arbitration, parties informally present their case to an arbiter or panel of arbiters. Parties may introduce written documentation such as expert reports, medical records, witness statements, etc. in lieu of live testimony. The relaxation of evidence makes the arbitration process cost-effective and efficient. After hearing the parties’ arguments and the presentation of the evidence, the arbiter(s) render a decision. The arbitration process can be binding by agreement of the parties. 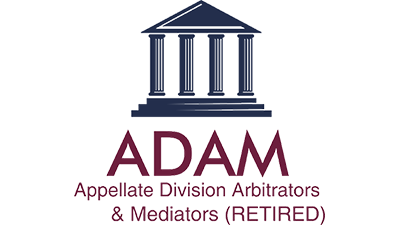 In binding arbitration, the parties contractually authorize the arbitrator or arbitration panel to render a decision that the parties must abide by. The finality of binding arbitration makes this an attractive option to parties who want a final resolution of their dispute. To assign a case, please fill out the Case Submission Form or call ADAM at (646) 933-4598.